So, what’s causing this weird crackling as audio streams from your device to the audio headset? It turns out the most common reasoning behind this is simple Bluetooth interference. If you have more than one Bluetooth device in your proximity, it could be that the wireless signals are getting a little jammed. There are other possible causes as well, but we’ll get to fixing those later in the post. That said, here are some of the best ways to resolve crackling sounds in your Bluetooth headphones, whether you’re rocking the full-sized Beats Solo3 or the miniature AirPods. If you have multiple Bluetooth devices around you, then as noted earlier, the interference could be the root cause of your problems. Although it may not be the solution for everyone, it’s a good idea to check into this as a potential cause, as fixing it may resolve your problem once and for all. Try turning off any Bluetooth devices you’re not using, such as headsets, keyboards, and even alternative wireless headphones that you might have left turned on somewhere in the same room from the last time you used them. If you’ve disabled all your Bluetooth devices, and you continue to hear the cracking, try the additional troubleshooting steps below instead. Just like turning Wi-Fi or cellular data off and on again can sometimes fix your internet connection woes, Bluetooth is also a wireless radio that can experience connectivity bugs, and sometimes restarting it can help it to connect correctly and stop acting up. Try opening Control Center on your iPhone or iPad and turning Bluetooth off for about 10 seconds, then turn it back on again before attempting to listen to music on your AirPods or Beats again. If you’re using a Mac, you go to the Bluetooth menu in the Menu Bar and click Turn Bluetooth Off. After waiting 10 seconds, go into the Bluetooth menu once again and click Turn Bluetooth On. In some cases, this will get you back on your feet, but if it didn’t, try the next step. Another potential solution is to reset your AirPods or Beats Solo3 headphones, which if you remember, was a viable solution for many that reportedly fixed the battery issues for many AirPods users early on. After you reset your Bluetooth audio device, you will need to pair it again with your iPhone, iPad, or Mac, so keep that in mind. 1) Press and hold the setup button on the back of the AirPods case for approximately 15 seconds. 2) As you wait, you should see the LED indicator turn white. It will then flash amber a few times, then begin flashing white again. Once you get to this step, you can pair them with your iPhone again and attempt to listen to audio. 1) Press and hold both the power button on the bottom/side of the right earmuff cover and the volume-down button on the left earmuff cover for approximately 10 seconds. 2) After you wait a while, the LED indicator (referred to by Beats as the Fuel Gauge) should begin flashing white. When you do see the light display, it’s ready to be paired again with your device(s). 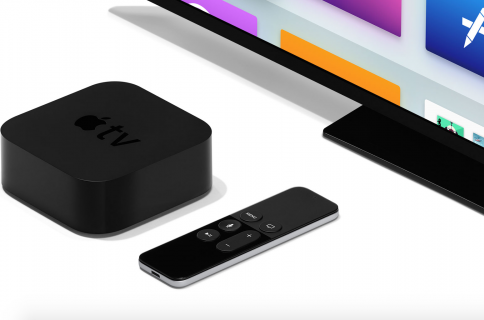 Apple frequently releases software updates for their devices, and iOS 10 was a major update that adds official support for the W1 chip that comes in the AirPods and Beats Solo3 headphones. According to Apple, your AirPods’ internal software will be kept up to date automatically as long as you’re connected to an iOS 10 device. That means you should make sure to update your iPhone or iPad to iOS 10 if you haven’t already. Beats devices, on the other hand, have an update process of their own. 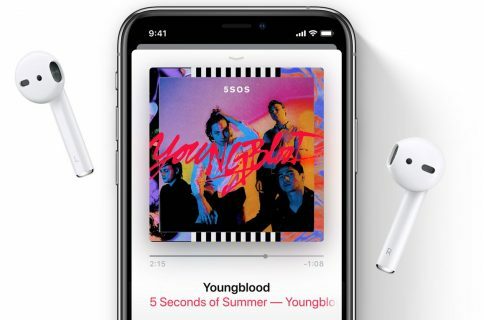 Sure, AirPods might work on iOS 9 just fine, but if you’re experiencing problems and Apple releases a software update to fix it, the software update won’t pass on to your AirPods or Beats Solo3 if you’re on iOS 9. Although some of you might be hesitant to update because you have a jailbreak, or for some other reason, keep in mind that this might be one of the only ways to solve the problem, otherwise you’ll need to forever hold your peace. If it’s still happening despite these fix suggestions, Apple might be willing to replace the potentially defective AirPods or Beats Solo3 headphones under the warranty. According to many early reviews, the AirPods are not supposed to exhibit these effects and many were offered free replacements. That said, try giving Apple a call. Your local Apple Store might be able to help. 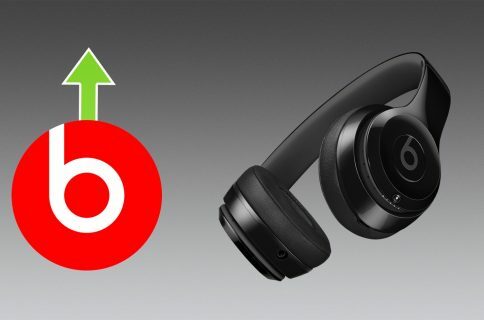 Unfortunately, because Apple’s AirPods are under such high demand, you might have some trouble getting replacements this early on in the game, but if you’re using Beats Solo3 headphones on the other hand, then you should be able to find them pretty easily. As far as my experience with AirPods and Beats Solo3 goes, I have noticed some crackling in the AirPods, but not really with the Beats Solo3 headphones. Usually just avoiding all my other Bluetooth devices does the trick for me, and I’ve managed to solve the problem by just turning off devices when they’re not in use. Have you experienced any crackling with any of Apple’s W1-equipped Bluetooth headsets? Share in the comments.